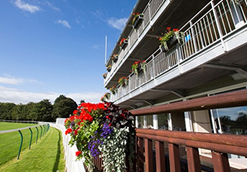 Ayr Racecourse is simply a class apart with the country's top racing combined with superb hospitality and entertainment. Scotland's premier track hosts the Coral Scottish Grand National Festival in April, the Ayr Gold Cup Festival in September, two of the best Festivals in the Racing Calendar. Racing at Ayr doesn't take a winter or summer break. The jumps season runs from November until April with the flat campaign beginning in May and ending the first week in November. There's at least one meeting every month. 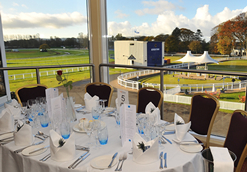 All of the Private Boxes at Ayr Racecourse are ideal for both corporate entertaining or larger family occasions. They are very well appointed with all the facilities you will need to make the most of your day. 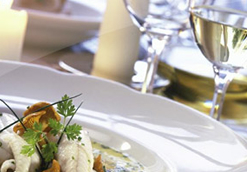 The Roman Warrior and Chancellor Restaurants, are both superb viewing Resaturants which cater for smaller groups and offer the first class Hospitality that Ayr is renowned for. 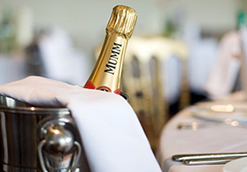 The Red Rum Restaurant has excellent views over the course and is used on busier meetings, it is a smaller facility with a very relaxed atmosphere. 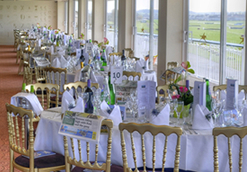 Whatever type of Hospitality, size of your party or budget we are sure to have the package to suit your requirements at Ayr Racecourse. Why not get in touch with us today and you can be assured of great service and advice.